We are reproducing the entire press release we received from HMRC which covers what steps will need to be taken by dealers buying in France to import to the UK, should there be a no deal Brexit. We will have further information to add from LAPADA in the next few days. HM Revenue and Customs (HMRC) is urging business owners to prepare now and consider three steps to ensure their businesses can continue to trade with the EU if the UK leaves the EU without a deal. The first step businesses need to take is to register for an Economic Operator and Registration Identification (EORI) number. UK businesses that have only ever traded inside the EU will not have an EORI number. In the event of a no deal exit, businesses will be unable to continue trading with the EU without an EORI number; however, HMRC figures show that so far just 17% of these businesses have registered. For businesses that import goods into the UK from the EU using roll on roll off locations, they can take a third step and register for new Transitional Simplified Procedures (TSP). TSP will allow businesses to import without having to make a full customs declaration at the border, and postpone paying any import duties. For imports using other locations, and for exports, standard customs declarations will apply. “We want businesses to be able continue trading with minimal disruption in any scenario but we also know that people tend to leave things until the last minute and we would urge against that. “We are specifically advising businesses to take some simple steps to be prepared – the first thing they need to do is register for an EORI number, it is free and takes less than 10 minutes. In September 2018, December 2018 and January 2019, HMRC wrote directly to 145,000 VAT-registered businesses that only trade with the EU advising them to start their preparations and apply for an EORI number. There are another estimated additional 95,000 non-VAT registered businesses that also need to take action. Despite these letters, only 40,973 have registered for an EORI number since October. To help businesses make import and export declarations, HMRC has made £8 million in funding available for traders and intermediaries to support them with training and IT costs. There is still £3m remaining of this funding, so there’s still time to put in a bid. HMRC has identified 145,000 VAT registered companies that trade with the EU but not the rest of the world, and estimates that a further 95,000 businesses also trade with the EU but are not VAT registered. This means an estimated 240,000 businesses need to take action to continue trading with the EU if no deal is reached. 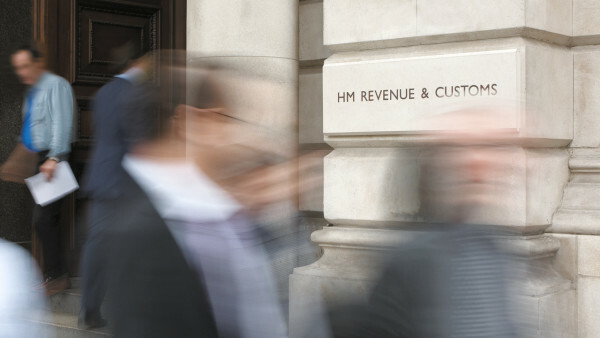 HMRC has the capacity to sign up 11,000 businesses per day for EORI numbers. To help business owners prepare, HMRC has released new step by step YouTube videos to help businesses understand the key changes they’ll need to make to continue importing and exporting goods if we leave the EU without a deal. Comprehensive guidance tools can also be found on GOV.UK. You can watch Importing goods from the EU in a no deal EU Exit and Exporting goods from the EU in a no deal EU Exit on the HMRC YouTube Channel. Businesses can find out about the other steps they’ll need to take to prepare for the UK leaving the EU using the ‘Prepare your business for the UK leaving the EU’ tool on GOV.UK.